Sue Bee Honey wins America’s Most Recommended™ for third consecutive year. 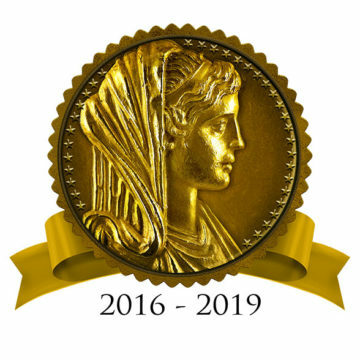 Each year, the Women’s Choice Awards® are determined by a national survey distributed to tens of thousands of American women who are asked to select the brands they would most recommend to family and friends. We are honored that for three years now you’ve chosen Sue Bee Honey as America’s Most Recommended™ Honey. As the economic powerhouse you are – controlling more than 80 percent of U.S. spending, according to the Harvard Business Review and the Continuum’s Women and Children Research Group – we’re flattered that you, our female consumers, continue to choose and recommend Sue Bee Honey. Of course, you’re the reason we make our honey with such diligence. 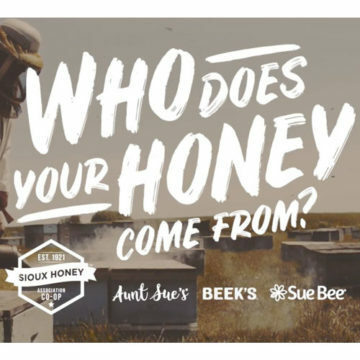 For nearly 100 years now, the Sioux Honey Association Co-op has been beekeeper owned and operated with an unwavering commitment to quality and craft, and we have no plans to change our ways. 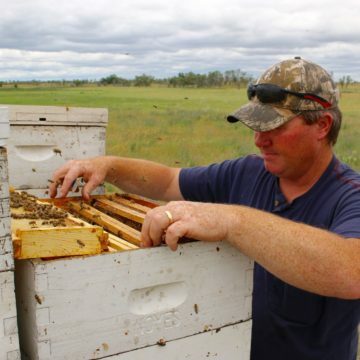 Our independent beekeepers take immense pride in knowing their pure, all-American honey is being served at your table. “Sue Bee Honey was, is and always will be a brand that women can buy and serve their families with confidence. We are truly honored by their trust and their recommendations, and by this award,” said Sioux Honey Association President Dave Allibone. This year, keep an eye out for Sue Bee Honey’s new label on your grocery store shelf. It’s the same honey you know and love, but with a modern look. So, once again, thank you. What do you say we keep this streak going?